Well, the 'girls' have been in MOODS today. I have been trying to clean, do homework, and finish orders today, and the buns just will not behave themselves! So, in an attempt to get them to calm down and leave me be for a couple hours, I took them outside to let them get all their energy out. Boy, was that the wrong idea, they're more wound up than ever! But, I'm always happy to have my girls out and about, and watch their antics in the yard. 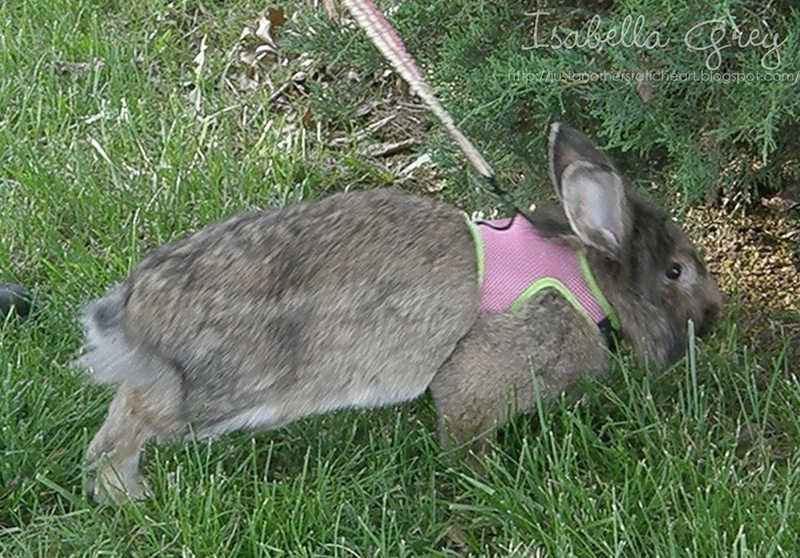 You can't see the patches of missing fur, as their covered by her harness. But some bun is feeling great today! She's grooming her dewlap, which is just extra skin that many rabbits develop. Claudia is headed for her outside 'den'! She has laid claim to the particular bush, and every time she goes outside, she has to rearrange, clean, and sniff around her 'den'. Guarding her 'den' from me, and relaxing in the morning sun.. She's so cute! 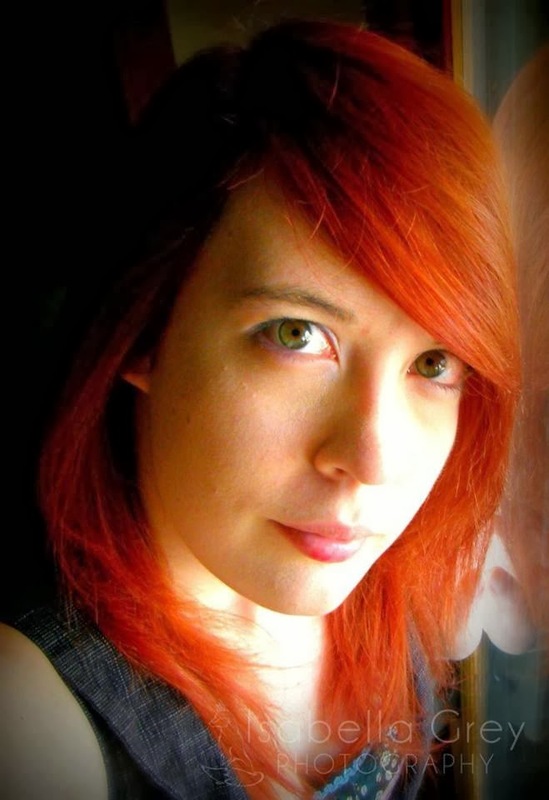 Her and Maylene are never allowed to be together, as Maylene isn't fixed, and we don't want kitlings! She knows she's looking good today! Can't you just see her saying, "Look Momma! Look at me, look at me, look at me!" Sitting in the sun, warming herself. Looks like it could be time for some Glamour Shots! 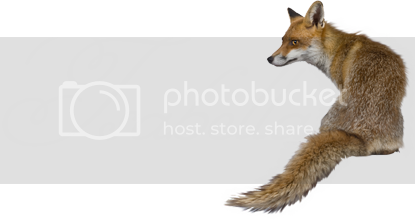 If you'd like to read more about my bunnies, please read the introduction post I did for them a while back! How cute are they on a leash! love hearing about your bunnies, thanks for sharing! Looks like the enjoyed there time in the sun with you today! They are so cute! 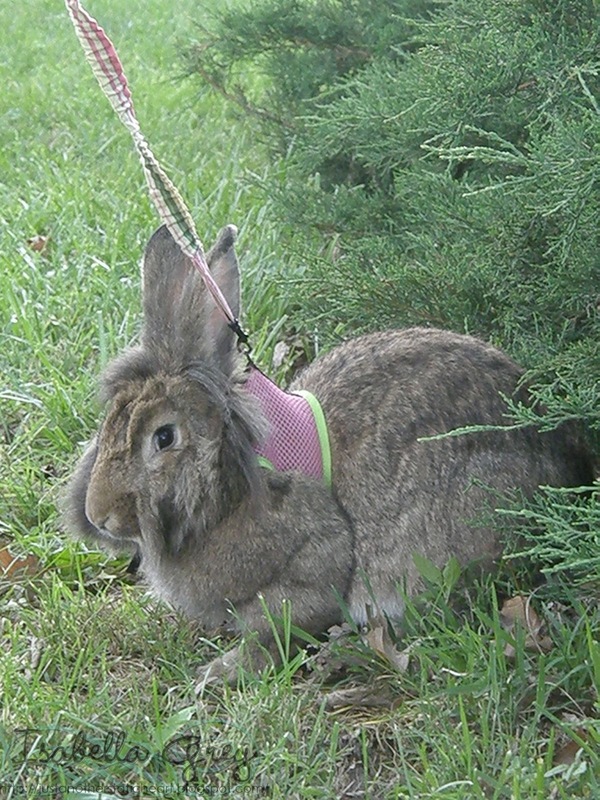 I didn't know they made leashes for bunnies! That is just to cool! What cute bunnies! I had no idea that they made harnesses and leashes for them! How cute! 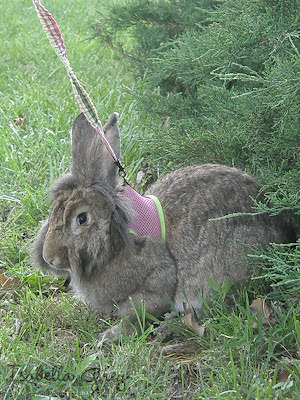 I've never seen a harness on a bunny before, what a great idea. I used to put my cat in a harness! HAHA I never knew there were harnesses for bunnies, but I should have known :) So cute! What little personalities! Very cute. Your bunnies are so cute! My daughters would love them! So cute! My aunt used to have a ton of bunnies, they were the sweetest! 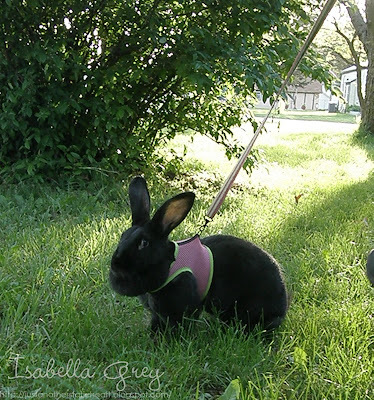 OMG that is the first time I have seen bunnies on a leash, love it. 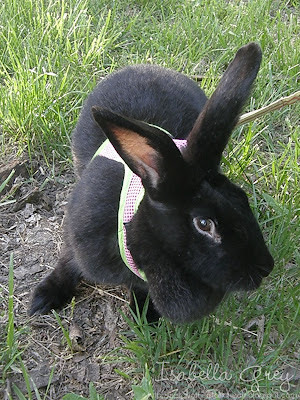 I am allergic to bunnies, and my husband laughs at me because we still have one! They are so cute, but sound like they can be a handful! When I was a kid, I had two Californias. My folks would make sure everything was secure in the backyard before "accidentally" letting them out of the cage, just to "freak out" and have my little brother and me run around the yard chasing them to get them back in. Wonderful way to run off a hyper child's energy. But now, I'm thinking I'll need a leash for any new rabbits we may get! 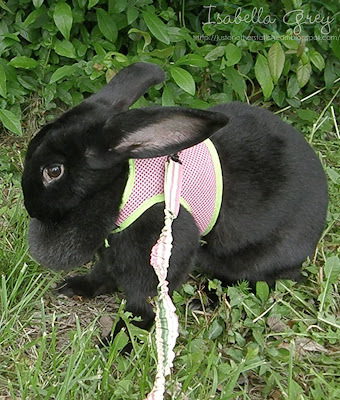 Love the bitty bunny harnesses. 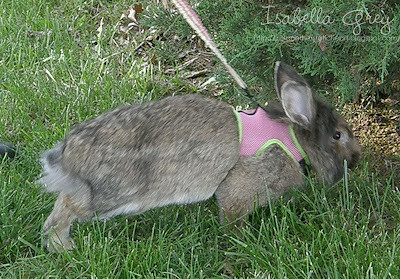 I didn't know you could walk bunnies. The harnesses are perfect.